Just last week, Bethesda Softworks announced Dishonored, a first-person shooter that will be detailed in the August issue of Game Informer. In advance of the coming preview, the magazine has shared a few key details about the game on its website that paint a fuller picture of what the intent is with this game. It seems that Dishonored isn’t so much a run-and-gunner as it is a stealth-action game played from a first-person perspective. You control Corvo, the “legendary” bodyguard of a recently murdered Empress who is now being charged with committing the crime. The real perpetrator is Lord Regent, who, from the sound of things, was making a power grab. Players will rely on Corvo’s training as an assassin as well as his grasp of certain supernatural arts to get himself out of trouble and avenge the death of the murdered royal. Given all of this, it’s no surprise to learn that developer Arkane Studios is has found its co-creative director in Harvey Smith, who is best known for his work on the Thief and Deus Ex games. 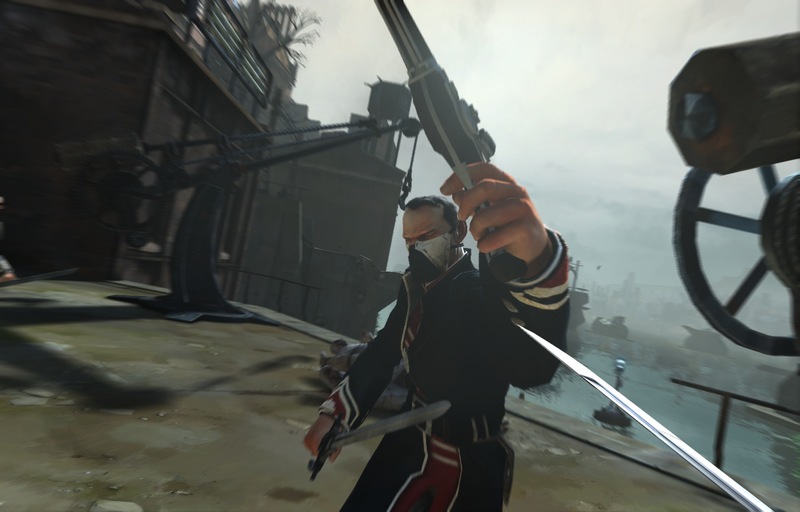 The preview describes Dishonored as an “assassination game,” with the focus on using Corvo’s powers to influence the world in less direct ways. In one example, his time-stopping ability is used to shove the contents of a table to the floor and then slip away unnoticed as guards come to investigate. In another example, Corvo summons a swarm of rats to attack a lone guard and then possesses one of the rodents as a means of escape. Where his body goes while the rat is possessed is anyone’s guess, but apparently that’s an option. Sounds intriguing enough as an appetite-whetter; hopefully August’s main course is similarly satisfying.